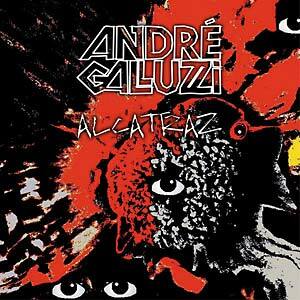 André Galluzzi's Alcatraz glides with powerful wings through the various spheres of this planet called techno. Its captivating conceptual build features a colorful and multifaceted blend of driving grooves and hypnotic beat-combinations draped in distinctive analog warmth. Inspired by occult sounds and psychedelic vocals, the album leaps over stylistic boundaries, with the constant percussive pulse evoking Galluzzi's own heartbeat. "Mathilda" and "Alcatraz" raise the endorphin levels with their enchantingly detailed arrangements, "Bombetta" is a stunningly massive heavyweight of a tune, and "Hand Has Been On It" and "Ferry You" create mystic oases of time and space.